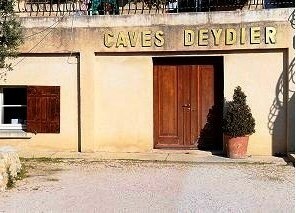 Domaine Jean Deydier was founded close to the start of the 20th century when Maurice Deydier started the estate. Maurice Deydier was bottling his own wine by 1926. His son, Jean Deydier, who eventually took over managing the property opened the now famous wine store in Chateauneuf du Pape, Les Clefs d’Or in 1960. The Southern Rhone Valley property is still in the hands of the Deydier family today, under the direction of Pierre Deydier and his daughter Laurence Deydier. Domaine Jean Deydier Les Clefs d’Or owns 20 hectares of vines in Chateauneuf du Pape. Of those vineyards, 1.2 hectares are used for the planting of grapes to produce white wine and the remaining 16.8 hectares are devoted to the production of red Chateauneuf du Pape wine. Domaine Jean Deydier produces 3 red Chateauneuf du Pape wines and 1 Chateauneuf du Pape Blanc as well as red and white wine from the Cotes du Rhone appellation. Domaine Jean Deydier Tradition is usually produced from 65% Grenache, 15% Mourvedre, 10% Syrah and a blend that often includes Counoise, Vaccarese and Muscardin. The wine is aged in old foudres. Close to 5,000 cases are produced each vintage. On average, 5,000 cases are produced every year. The wine is also sold and labeled as Clefs d’Or. Domaine Jean Deydier Selection is produced from a combination of vines that range in age from over 70 years to just 20 years of age. The blend is usually close to 65% Grenache, 15% Cinsault, 15% Mourvedre and 5% Syrah. The wine is aged in stainless steel tanks. Not much is produced as 500 cases are made in an average vintage. Domaine Jean Deydier Les Craus Centenaires is made in only select years from some of the estate’s oldest vines. Many of the vines are over 110 years old as the vineyard was planted all the way back in 1896. The wine is mostly old vine Grenache with some Syrah blended in. Not much of this wine is made as production averages close to 650 cases per year. The wine is a steal in the marketplace when you consider the quality, character and age of the vines. Production is close to 6,500 cases per year. Domaine Jean Deydier Chateauneuf du Pape Blanc is produced from a blend of Grenache Blanc, Clairette and Bourboulenc. The production is quite small as close to 44 cases of wine are produced in an average vintage. Domaine Jean Deydier Les Clefs d’Or can be enjoyed on the young side. Young vintages can be popped and poured, or decanted for about 1 hour, more or less. This allows the wine to soften and open its perfume. Older vintages might need very little decanting, just enough to remove the sediment. Domaine Jean Deydier Les Clefs d’Or is usually better with 3-5 years of bottle age. Of course that can vary slightly, depending on the vintage. In the best vintages the wine should be consumed within 3-14 years after the vintage. Domaine Jean Deydier Les Clefs d’Or is best served at 15.5 degrees Celsius, 60 degrees Fahrenheit. The cool, almost cellar temperature gives the wine more freshness and lift. Domaine Jean Deydier is best served with all types of classic meat dishes, veal, pork, beef, lamb, duck, game, roast chicken, roasted, braised, stewed dishes, sausage, barbecue and cassoulet. Domaine Jean Deydier is also good with Asian dishes, hearty fish courses like tuna, mushrooms pasta, eggplant, cheese and tomatoes. The white wine of Domaine Jean Deydier is best served with a myriad of different seafood dishes, shellfish, crab, lobster, sushi, sashimi, chicken, pork and veal, as well as Asian cuisine. Rich, ripe, lush, round, supple, lure, fresh kirsch, the wine shows purity, elegance, balance and freshness, with a nice peppery kick in the finish. Produced from 100% old vine Grenache. Medium bodied, elegant, fresh, and polished, this should be great to taste on release with all its ripe, luscious, soft, sweet, ripe, red berries. The wine was made from 65% Grenache, 15% Mourvedre, 10% Syrah and assorted other grape varieties. Forward in style, the sweet, ripe, cherries, medium body and peppery finish, coupled with its soft textures works quite nicely for tasty, near term drinking pleasure. Elegant, medium bodied, fresh, forward, silky wine, with a polished, sweet, spicy, cherry, floral and licorice personality with a chalky finish. From 100 year old Grenache vines planted in the Les Craus lieu-dit, the wine is a blend of 70% Grenache, 20% Mourvedre and 10% Syrah. Medium bodied, supple, soft and packed with ripe, fresh, sweet, black raspberries, kirsch, thyme, pepper and fresh herbs, this is starting to drinking nicely. Smooth, with sweet ripe cherries and herbs, the wine is easy to like and drink, especially if you like it on the young side. From vines more than 100 years of age, the wine is deep in color, with fleshy textures, ripe and over ripe berries, earth and spice that delivers a juicy, fat, fresh, sweet finish. This sells for a more than fair price for a wine at this quality level. Peppery, with garrigue, fresh, light strawberries and with good freshness, this is already drinking great today. Forward in style, especially for a 2010, the peppery, garrigue and cherry filled nose leads to an easy to drink, medium bodied, fresh blast of sweet kirsch. Medium bodied, forward, fresh and filled with sweet, ripe, soft, kirsch, cherries and raspberries. From 100% old vine Grenache, this is already fun to drink.